Akron launched the Civic Commons project in conjunction with GEHL to collaborate with local leaders and residents to learn about, strategize, and develop innovative solutions to the city center's most pressing challenges. Our team was tasked with "Making Main Street More Fun Between Events," or more specifically, getting students and the local workforce to spend time downtown during off-peak hours. 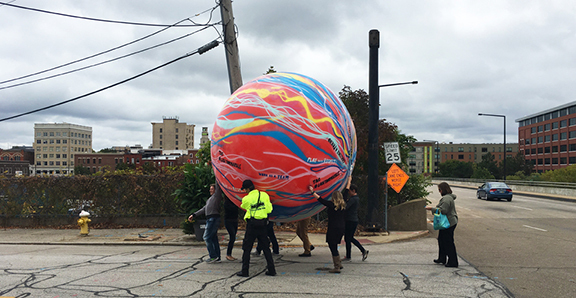 Inspired by Akron's history as the former marble capital of the world, we created Lose Your Marble, an interactive kinetic piece of art that would require teams of individuals to move from station to station in the downtown area. 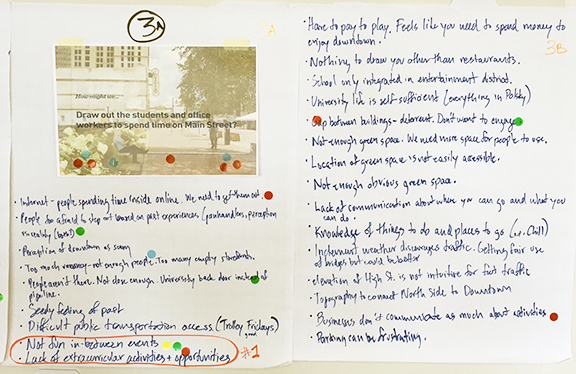 We created two prototypes to see if people would be willing to engage in the activity and were pleasantly surprised by the response. With plans to further develop the concept with an incentivized structure to attract more people, and to use higher quality and more reliable materials, we are confident Lose Your Marble can become a signature team-building feature of the Akron.